Before the Frost, the TIFF-selected film from the filmmaker behind the recent Papillon remake, finds a place and time when where you're seated in church matters enough to be deeply insulted if you're asked to move back a pew. 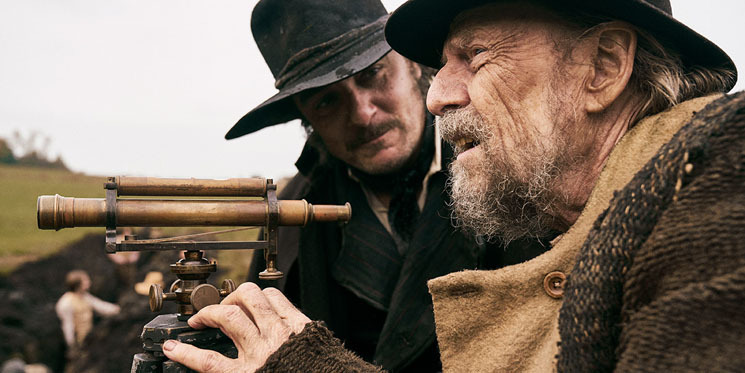 This is one of the issues Jens (Jesper Christensen) must deal with as he wades through the morass of status and religion while trying to keep his family alive in 1800s Denmark. Jens is a landowner struggling to feed his family, made up of his daughter Signe (Clara Rosager) whose mother passed, and the two sons of his deceased sister. Winter is coming and their crop failed, so Jens must bargain for what land of his is of use and for what dowry and promises he can secure for Signe's hand in marriage. Christensen, a film veteran of over four decades, holds the screen and the audience's attention. Beyond him, characters are two-dimensional or left half-sketched, including Signe, the focus of all Jens' efforts.